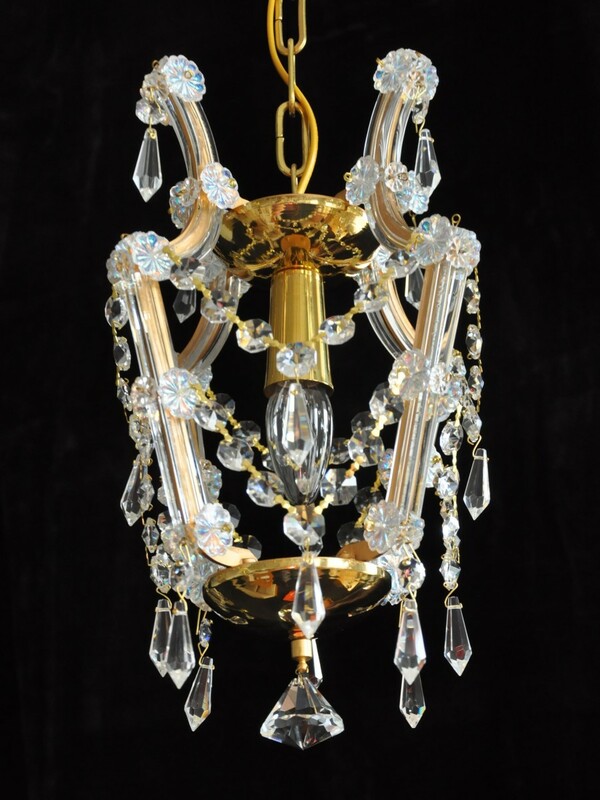 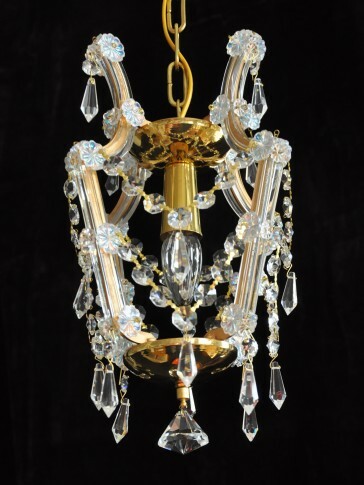 Design Maria Theresa chandelier with gold brass metal finish. 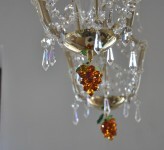 Trimmings hand cut crystal pears. 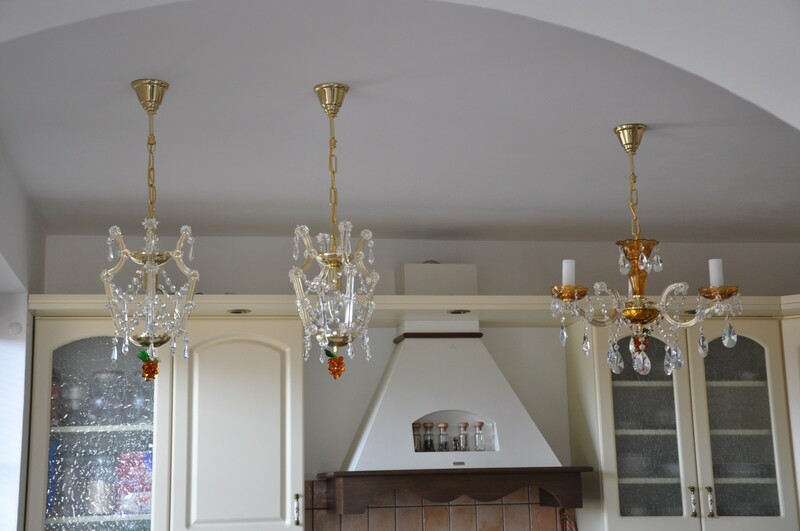 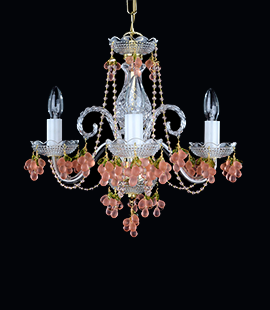 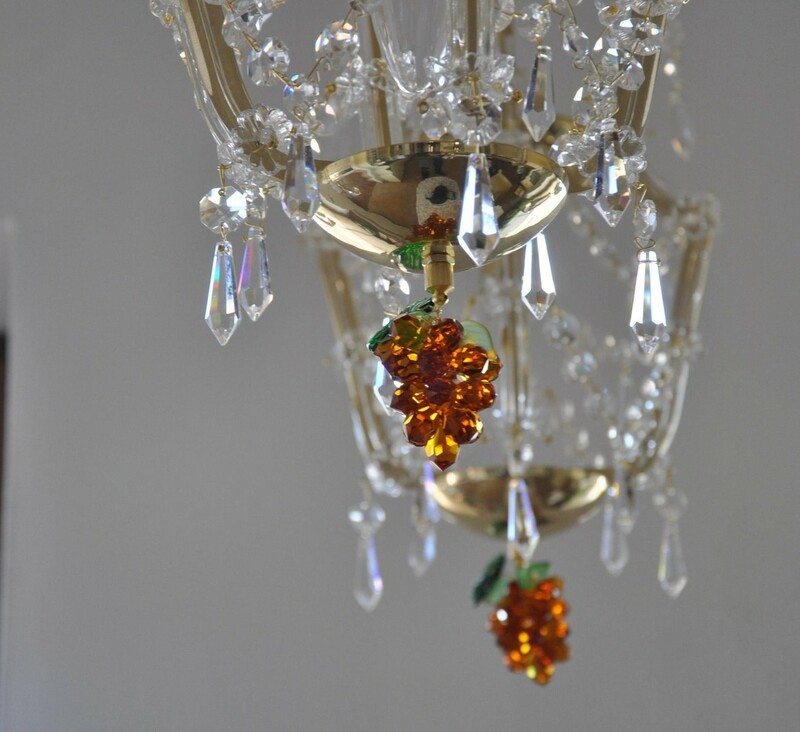 Dimensions (W x H): 23 x 34 cm/ 9.4"x13.9"
Chandelier can be ordered with cut crystal grapes (see pics from the real Interior) instead of the bottom stone.